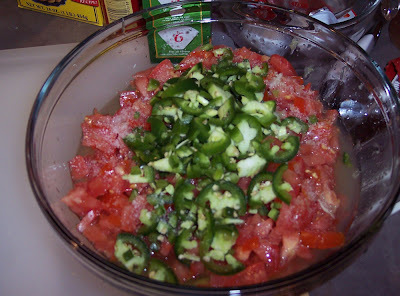 I got it in my mind that I must eat salsa, so I had to make it! 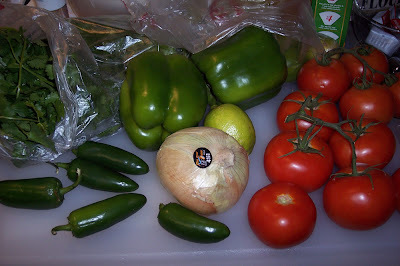 Went to Safeway and bought the stuff: Cilantro, bell peppers, tomatoes, sweet onion, limes and jalapenos. Dice up everything, I was feeling lazy so I left my pieces pretty chunky. I make 2 big batches, one medium spicy for Alex, and a ridiculously spicy version for me that puts Colon Blow to shame. 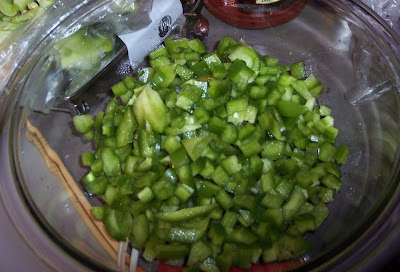 That's about 4 jalapenos I think, seeds and all. 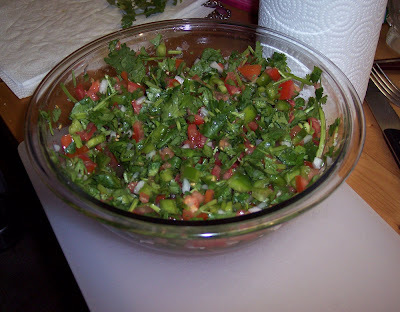 Add cilantro, lime juice and salt to taste, wa-la! This one is mine. 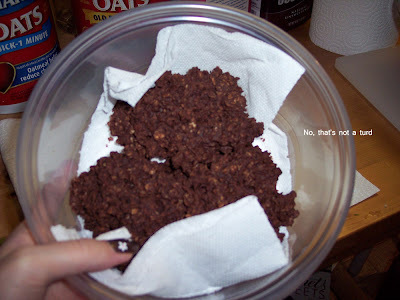 Alex also made his yummy no bake oatmeal peanut butter cookies, aaah. Jealous, Allie? 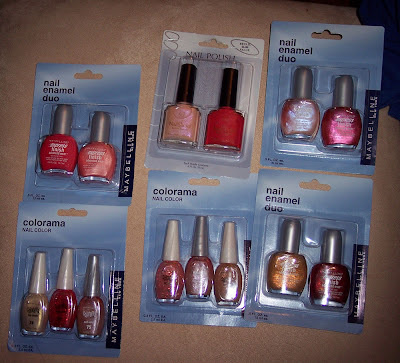 And of course more nail polish. This time from the Dollar Tree. I'm hunting for a blue shade of Crackle by Cover Girl but so hard to find! These two shades are my favorite out of the bunch. 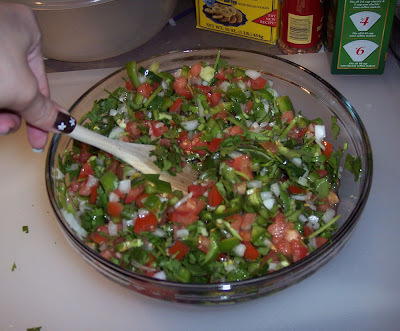 Your salsa looks very good. I've never made my own. Does look easy enough. Whew, that seems like it would be very hot! But I bet it's delicious. Nice haul at the Dollar Tree.